I was asked to make earrings for the staff at the Redmond, WA White House Black Market store as a little appreciation gift from their store manager. 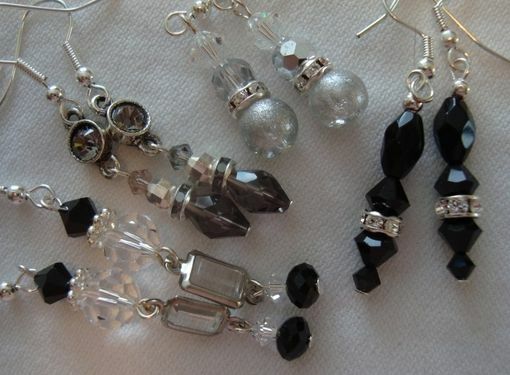 I made 8 pairs of earrings, all different, using Swarovski crystal beads, crystal spacers and sterling silver findings. Even some vintage elements I had. 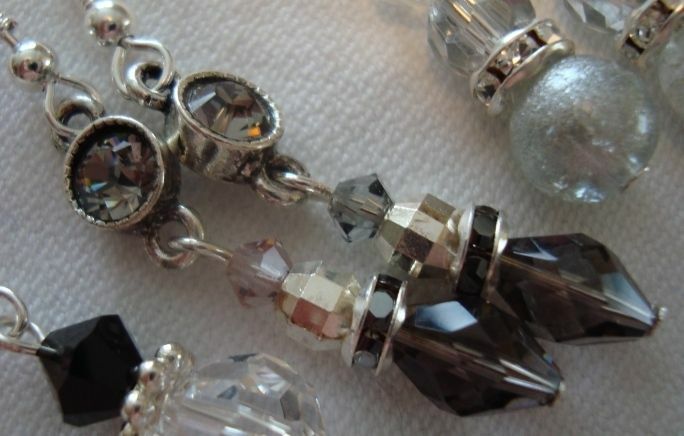 Almost every pair of earrings I make, even if I use identical beads and findings, are one-of-a-kind, something that the staff of the store really liked. It was a really fun assignment.